Nestled at the base of Mt. Cheam, Camp Bridal is a short drive to the beautiful Bridal Falls Provincial Park or to Cheam Wetlands. Camp Bridal offers a unique camping experience and is open year round. 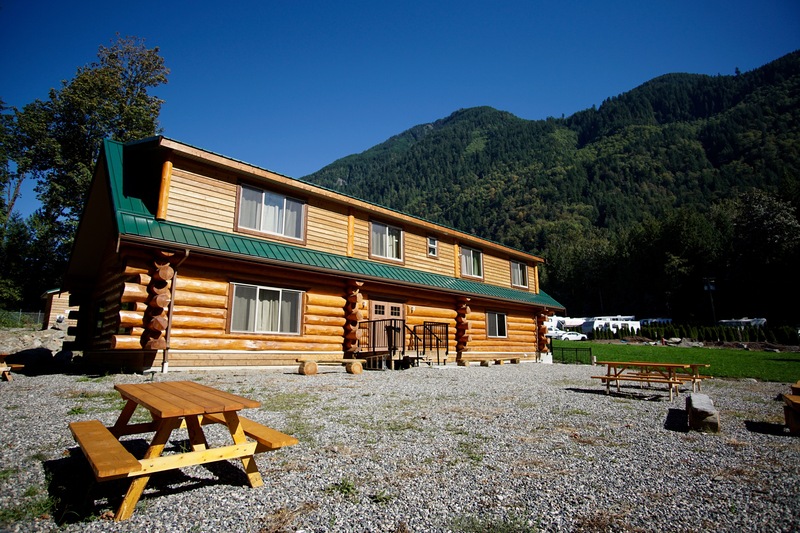 We offer a variety of services including RV camping, tenting, group accommodations or the nightly rental of the 2 bedroom suite located on the upper floor of the lodge with a beautiful balcony view. We have a pool, basketball court, sand volleyball, and a playground for everyone, whether you are planning a family getaway, summer holiday or just a weekend out. Surrounded by mountains, creeks, nature and complemented by multiple local amenities and attractions, it makes Camp Bridal Your Natural RV Resort Getaway.